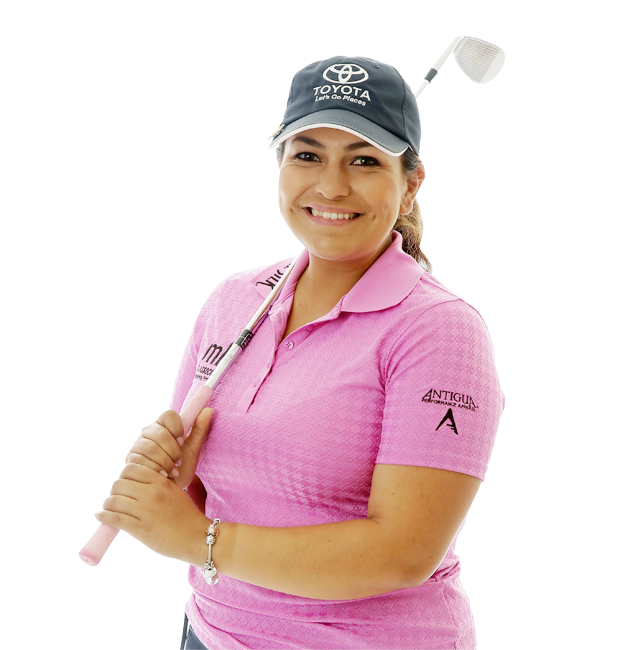 2019 will be an exciting tour season for the LPGA and one of it's top players Lizette Salas. Salas, who is from Azusa, California, was in New York City recently for a special partnership announcement involving the LPGA and Aon, a leading global professional services firm providing a broad range of risk, retirement and health solutions. The season-long Aon Risk Reward Challenge will highlight the world's best professional golfers as they tackle the most strategically challenging holes across both the LPGA and PGA TOUR. The player that tops the respective leaderboards will each receive a $1 million prize. Salas became a professional in 2010 after a brilliant career at USC where she was Pac-10 Player of the Year in 2009 and 2010. She won her first championship on the LPGA tour in 2014. Her story is a unique one and she credits her father Ramon for her amazing success. She joined host Doug Doyle at Foley's Pub and Restaurant in New York City for this edition of SportsJam. "My dad landed a job as a mechanic at a public golf course in Azusa, California. I didn't grow up in a golf family. I was just lucky I guess. His friend was the head pro at the time. I ended up finding out later that my dad was doing side jobs for him just so I could get a lesson every Saturday. From that grew to playing for the club at junior golf tournaments and then I realizing I liked beating the boys. I was young and liked winning trophies, so my competitive juice got going, and won the state championship for the girls when I was a senior in high school. Some how I got a scholarship to USC, first person in my family to graduate from college, four-time All-American. None of this would have happened without my dad. He has been there every step of the way along with my mom who are both immigrants from Mexico. They worked tirelessly their entire lives so I pay my tribute to them because they are my backbone." 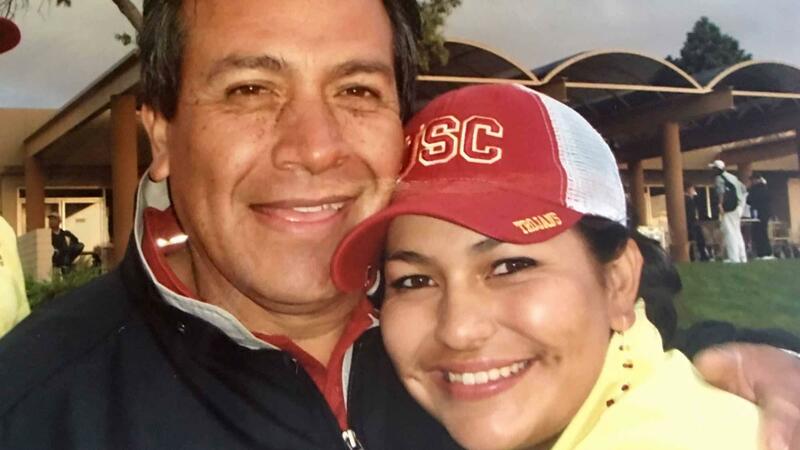 With pride and family being a big part of Lizette's makeup as a person and LPGA player, it's no surprise what she's most proud of on the golf course. "I would say my biggest moment in golf in my career so far has been the (2017) Solheim Cup (over Europe), clinching the final point in Iowa for Team USA. Having my parents there in the Red, White and Blue and being wrapped in the American Flag, that has been my proudest moment because it takes two years to make that team and 2016 was probably my roughest year out there and to really grind it and fight for that spot was really an emotional moment for me and my family and my team." Salas is excited about the Aon Risk Reward Challenge and it's equal prize money for men and women golfers. Salas admits she's not one of the longer hitters on the LPGA tour and plans to work more on the mental part of her game this season. "I'm striving to get more "W's" but it's all a process and just trying to enjoy my time out here and I'll definitely get more." Andy Weitz and LPGA Commissioner Mike Whan joined Salas at Foley's for the luncheon media event announcing the Aon Risk Reward Challenge. Weitz says he is excited to see how players develop strategies that help them understand the risk and realize the reward on each of Aon Risk Reward Challenge holes. "Whether on the tee or reaching the green, golfers are constantly looking for insights that give them an edge over the competition. We see clear parallels in how Aon advises clients, as our solutions are rooted in data and analytics that help them volatility and maximize performance." Mike Whan joined the LPGA at the end of 2009 and stressed how much the LPGA Tour has grown during his tenure. "2019 (we're) introducing a season-long risk-reward hole that someone going to win a million dollars. We'll also introduce the largest winner's check in women's golf history. Someone is going to win $1.5 million when they win the CME Group Tour Championship. And to be playing 34 times for over 70-million dollars. When we got started back in 2010, we had 200 hours and 72 percent of it was tape-delayed. This next year we'll have just about 500 hours of TV and over 90 percent of it live." Whan says one of the best stories on the tour is how Lizette Salas made it to the LPGA. 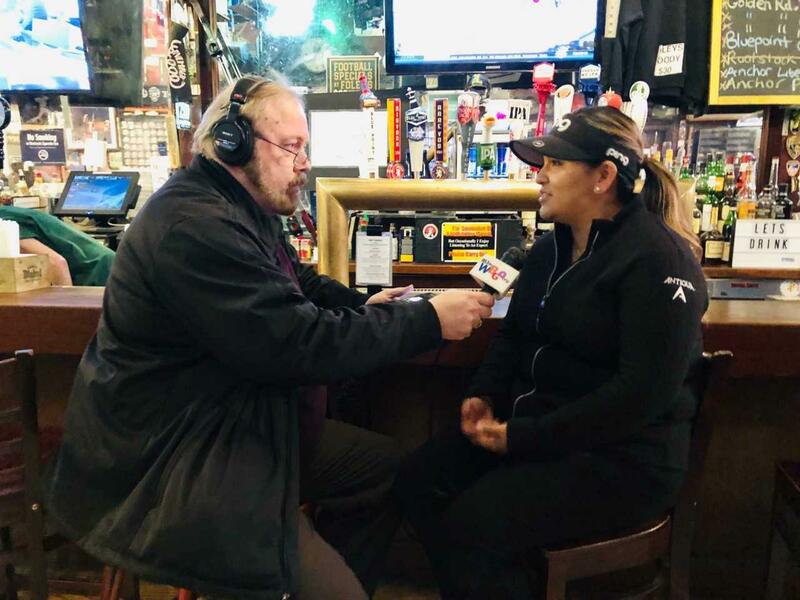 Click above to hear the entire SportsJam with Doug Doyle conversation with Lizette Salas.